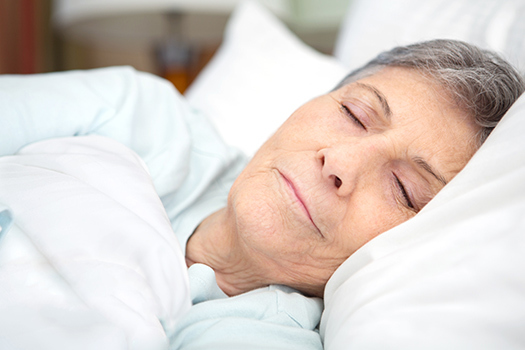 Getting a good night’s sleep is vital for a senior’s health. Older adults need 7 to 9 hours of uninterrupted sleep every night. If you want to ensure your senior loved one leads a healthy life, you can help him or her practice good sleep hygiene. Here is what happens if your aging loved one does not get enough sleep. Lack of sleep can negatively impact your loved one’s body functions. Seniors who don’t get enough sleep tend to lose muscle strength, lack endurance, and experience a heightened sense of pain. Lack of sleep also puts wear and tear on the organs and prevents them from functioning properly. Seniors who want to remain healthy as they age can benefit in a variety of ways when they receive professional non-medical in-home care. Harrisburg, PA, Home Care Assistance is here to help your loved one accomplish daily tasks, prevent illness, and focus on living a healthier and more fulfilling life. An insufficient amount of sleep could disrupt your loved one’s sugar metabolism and prevent his or her body from making insulin, increasing the risk of diabetes and other chronic health problems. If your loved one already has diabetes, long-term sleep problems can worsen the condition. Long-term sleep deprivation can weaken the immune system and make seniors susceptible to a number of health conditions. Seniors with ongoing health complications are at an even greater risk of diseases. Getting enough sleep is one of the first steps your loved one can take to boost his or her immunity. Having inadequate sleep hygiene can affect your senior loved one’s mental wellbeing. You may notice your loved one having a hard time concentrating on simple tasks or understanding information. He or she may become easily irritated or even depressed at times. Seniors who don’t get enough sleep are at risk of numerous other health conditions like stroke and heart disease. They may be prone to accidents, which can lead to an increased risk of falls and broken bones, and they may also find it harder to maintain a healthy weight. Bad sleeping habits can lead to hypertension, and some studies have linked lack of sleep with memory loss and Alzheimer’s disease. Aging adults with Alzheimer’s disease can benefit from receiving professional Alzheimer’s home care. Harrisburg seniors need regular mental stimulation when managing memory-related conditions, and a reliable in-home caregiver who has extensive training in Alzheimer’s care can be a great asset. Encourage your loved one to go to bed at the same time each night. Taking a warm bath, listening to soothing music, or reading a good book before bedtime can also increase the quality of sleep. Remind your loved one to turn off the TV, phone, tablet, and computer screens half an hour before bedtime. Make sure he or she has a nice comfortable mattress, supportive pillows, and clean sheets. The temperature of the bedroom should be comfortable as well. Aging in place can present a few unique challenges for older adults. Some only require part-time assistance with exercise or meal preparation, while others are living with serious illnesses and benefit more significantly from receiving live-in home care. Harrisburg, PA, Home Care Assistance are leaders in the elderly in-home care industry for good reason. We tailor our care plans based on each senior’s individual needs, our caregivers continue to receive updated training in senior care as new developments arise, and we also offer comprehensive care for seniors with Alzheimer’s, dementia, and Parkinson’s. To create a customized care plan for your aging loved one, call us at (717) 540-4663 today.